Joe’s enjoying his new room! We are very excited that the £23,000 required for creating a downstairs bedroom and wetroom for Joe has been reached and his fantastic new space is now completed and in use, making a huge difference to Joe’s life. 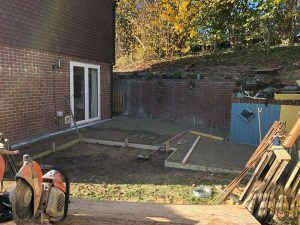 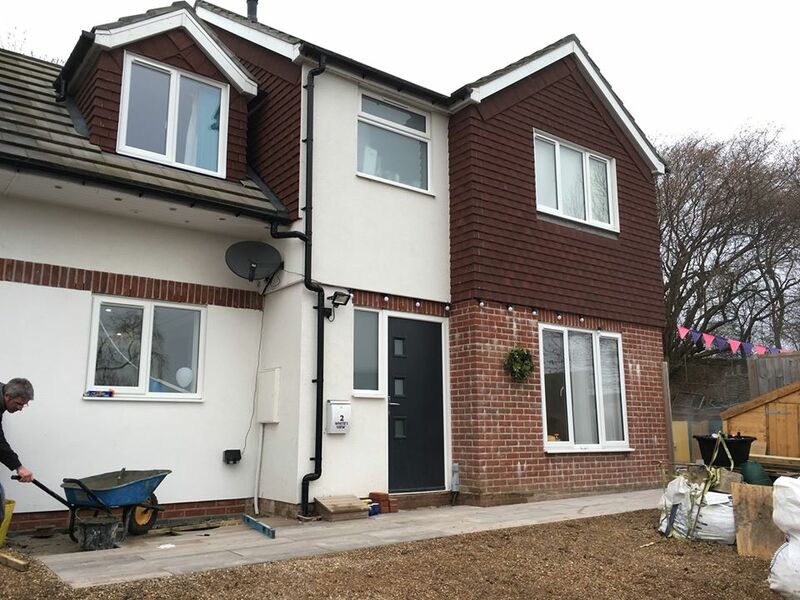 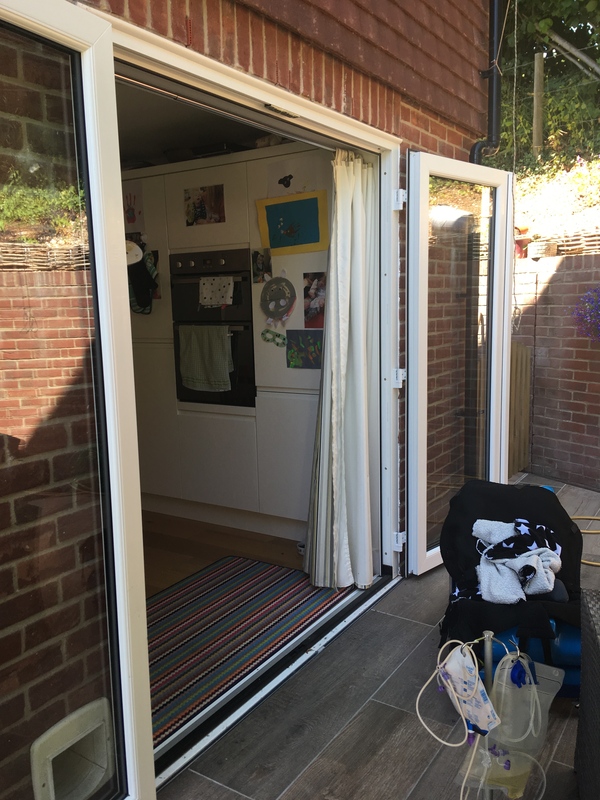 The adaptations that have been created for Joe include a downstairs extension and conversion of the existing garage with hoisting installed, a new back door and garden ramp – meaning there is no more manual lifting of Joe required. 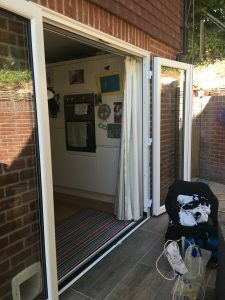 Moving Joe is now a safe and more comfortable experience. Joe’s Mum gives us some background into the need for this new space for Joe. 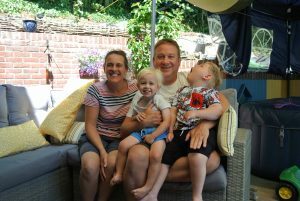 “Joe has a range of complex medical conditions including Cerebal Palsy, severe visual impairment, Global Developmental Delay and Epilepsy, which he sustained from a stroke while he was growing as a baby before he was born. 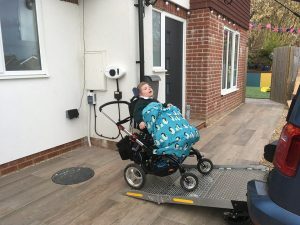 “Before the adaptations were put in place, constant lifting was required in order to change Joe’s position, move him from one piece of equipment to another, change his pad and care for him. 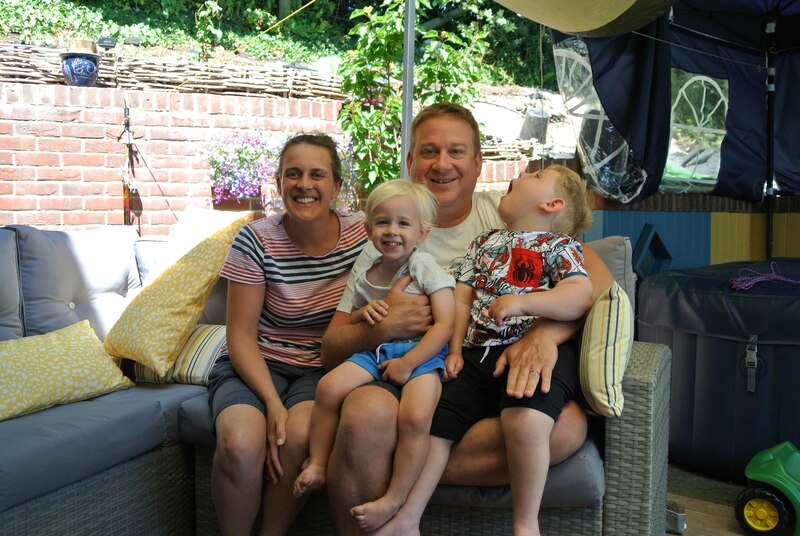 “Every hour we had to lift him to change his position (and he weighs about 19kg!). 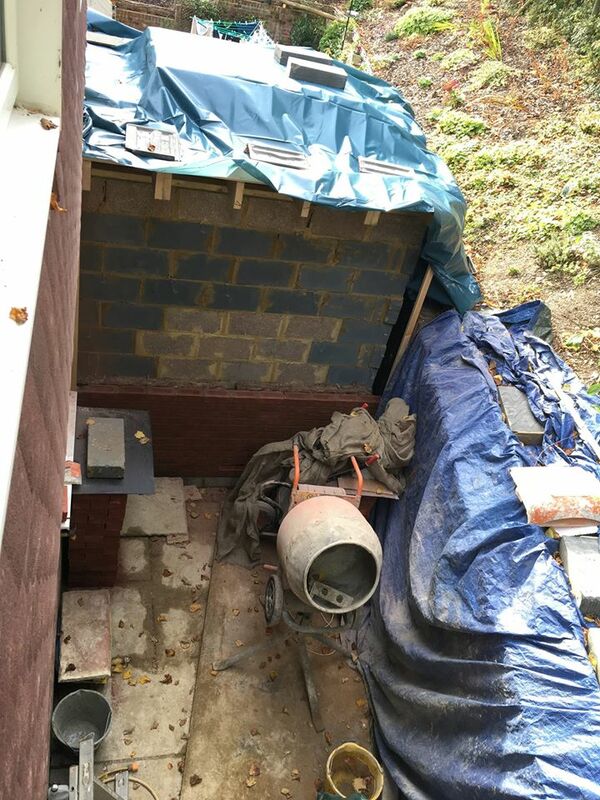 Bathing him was a 2-man task and lifting him out of the bath was unsafe. 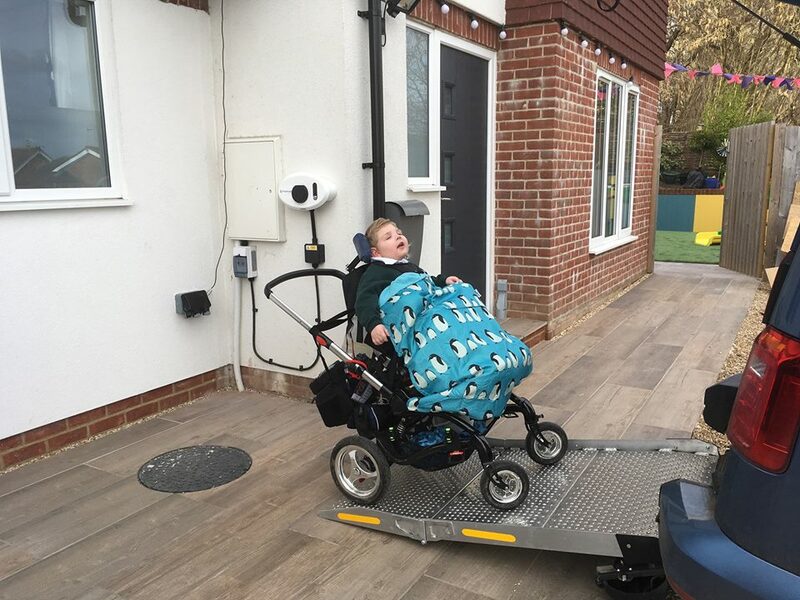 As Joe’s Mum continues “Joe’s house adaptations have made a huge difference – we feel that Joe and his carers (and us parents) are safe because there is no more lifting required. 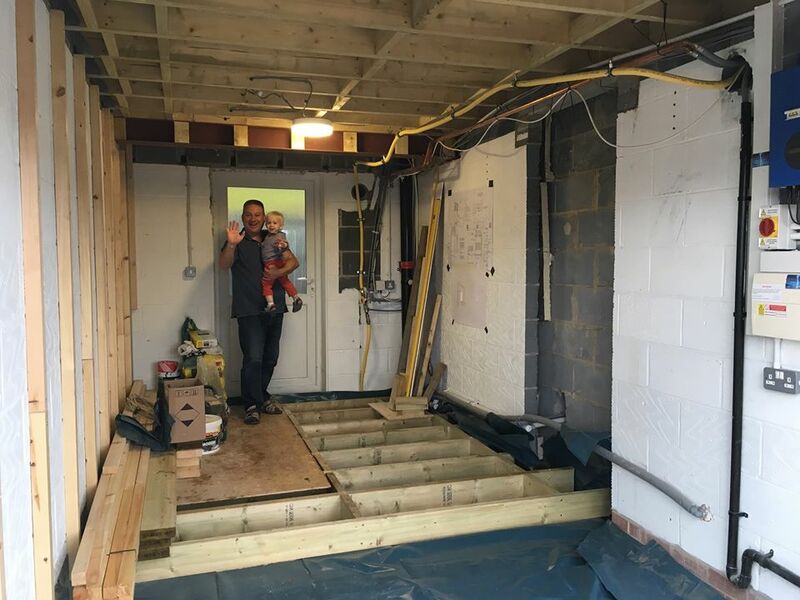 All of Joe’s needs are met on the ground floor, so there’s no need to move equipment up and down the stairs. “Hoisting throughout Joe’s bedroom and wetroom means he can be safely hoisted from his bed and moved into a variety of positions. The downstairs wetroom facilities make washing and changing Joe safer and more dignified. 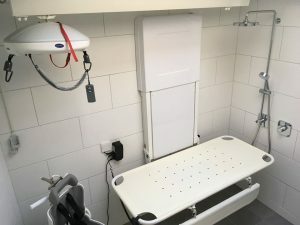 “Joe can now have a shower with just one adult to support him, rather than two. 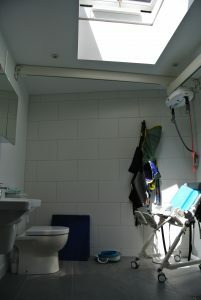 There is space in his new wetroom for a toileting chair which we hope he will learn to use. 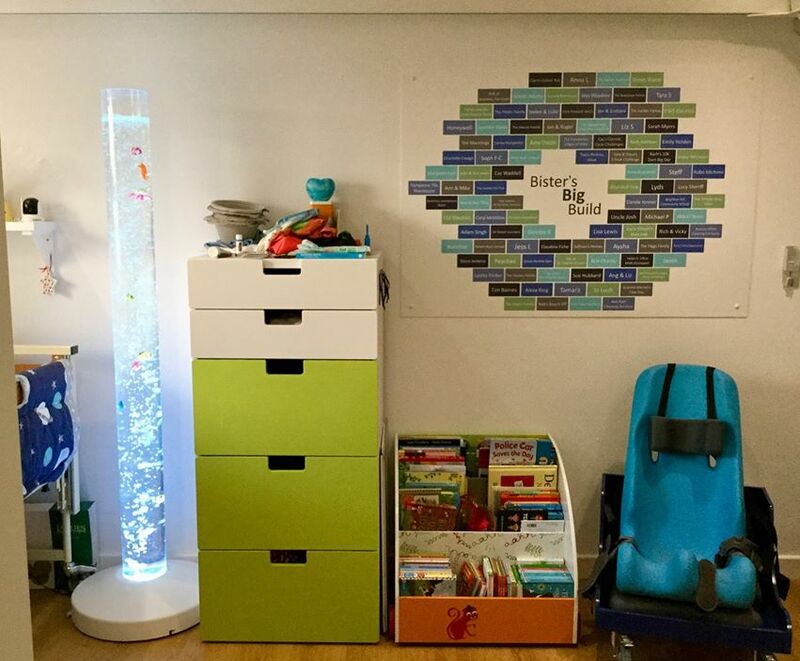 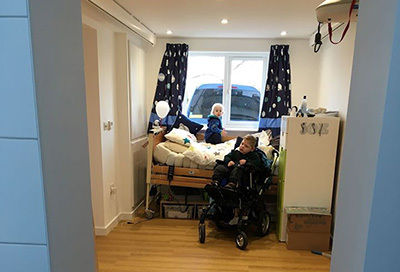 “Joe and his younger brother Sam now have free-flowing space throughout the downstairs which means they can interact more and spend sibling time together in Joe’s bedroom. Joe’s Mum details Sullivan’s Heroes support for the project and the fundraising required to meet the costs. 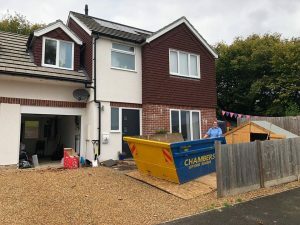 “Sullivan’s Heroes gave us first hand advice and having been through the process themselves, we felt they were very experienced and almost ‘role models’ to us. They helped research certain aspects of the admin, including some of the legal side, and pointed us in the direction of websites to look at, or equipment to consider. 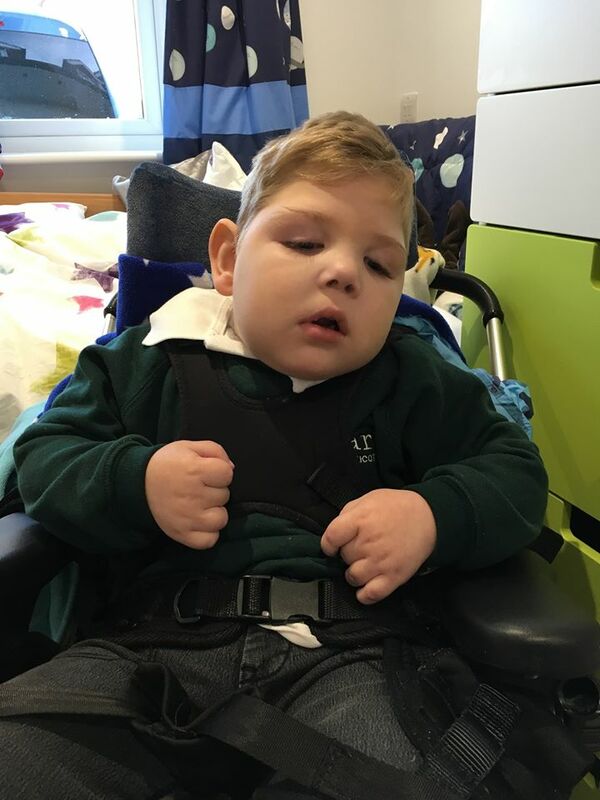 We, at Sullivan’s Heroes, are delighted by the number of people and organisations that supported Joe and his family throughout the project – and we love the finishing touch that Joe’s family have added to his fantastic new room. 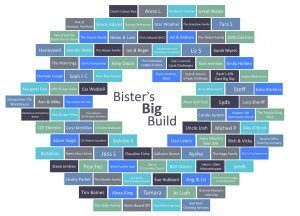 This beautiful piece of artwork, designed by one of the many fundraisers involved, details everyone that supported the project from start to finish. 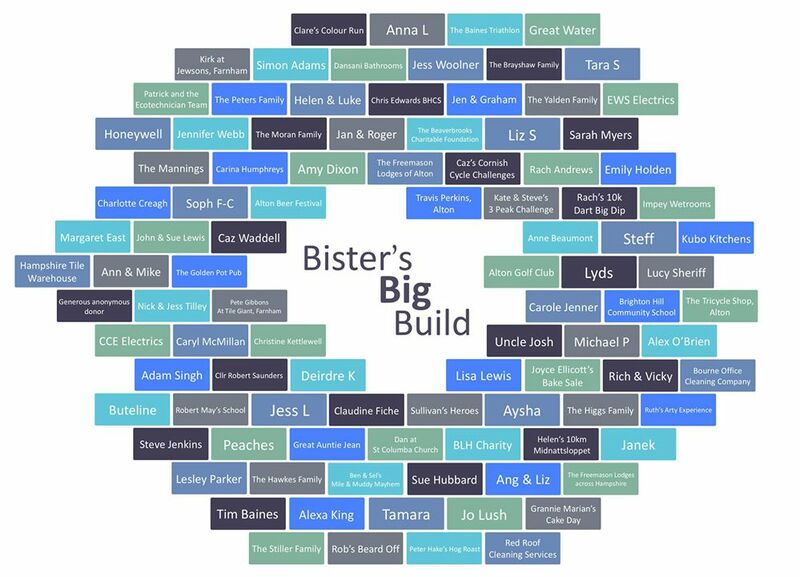 What a lovely, lasting memento of all those involved in creating Joe’s amazing new space, and making such a positive difference to his life. 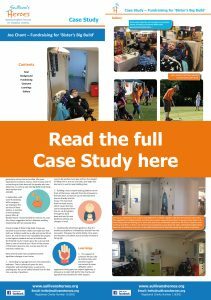 As Joe’s Mum concludes “The key areas of help from Sullivan’s Heroes in reaching our goal were the Grant pledged to us by them; the affiliation with a registered charity; and having someone who’d experienced the Disabled Facilities Grant process before to turn to with questions and frustrations, especially before the project took off.